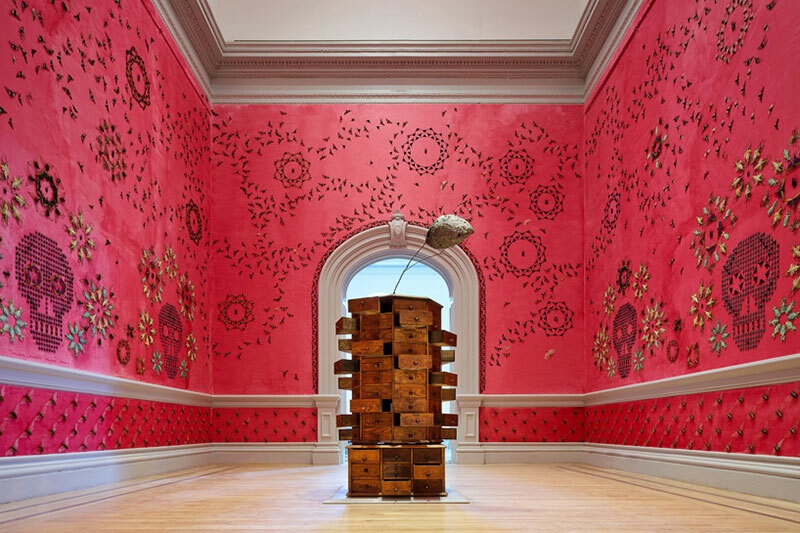 An installation at the Smithsonian’s recently reopened Renwick Gallery in Washington, D.C. by artist Jennifer Angus consisting of 5,000 bugs arranged in geometric and skull patterns adorning the walls of the room. 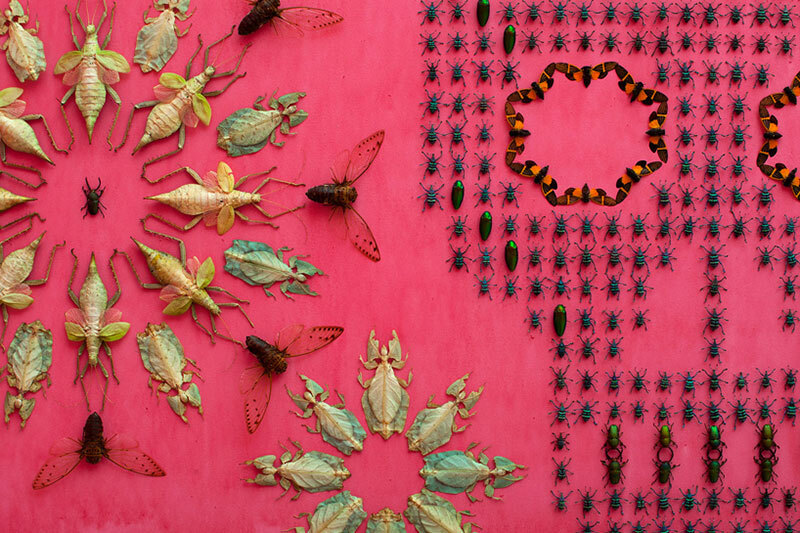 As part of the immersive Wonder exhibit, the insects have not been altered in any way by the artist, except to position their wings and legs, and are re-used from prior exhibitions. 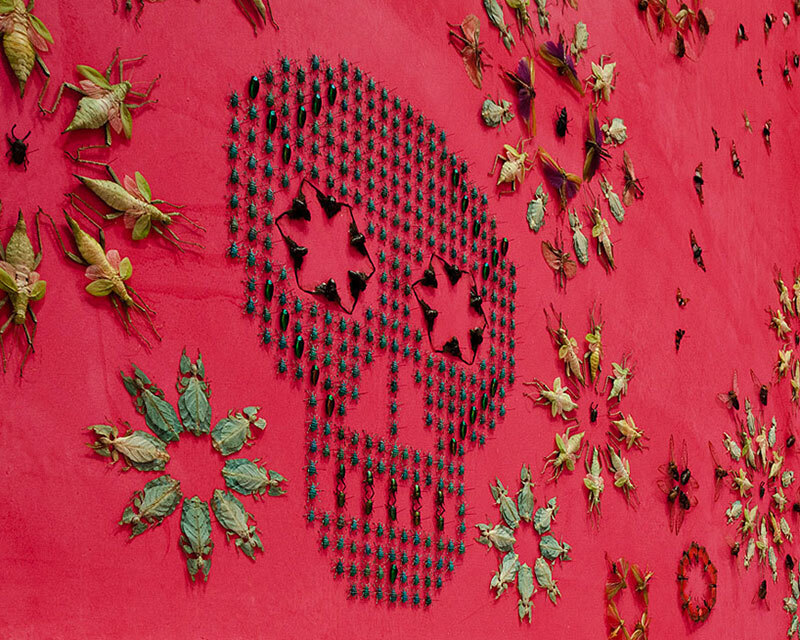 The bugs are from an abundant species from Malaysia, Thailand, and Papua New Guinea and are not endangered. 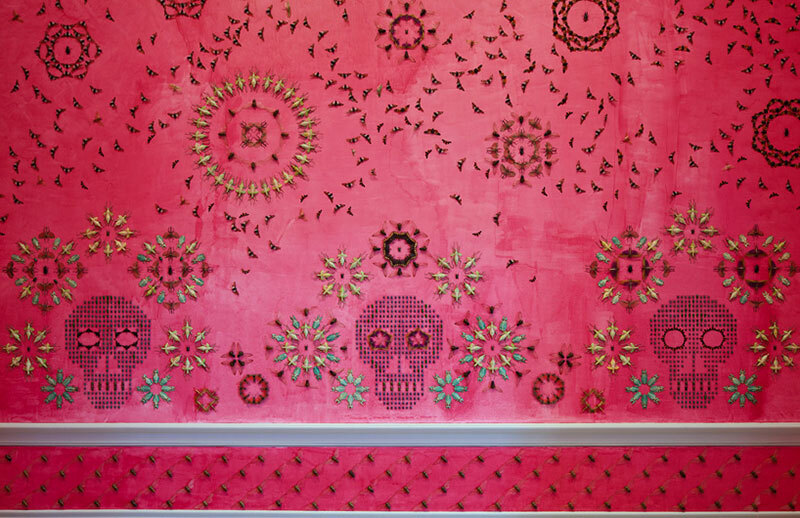 The pink wall color is derived from the cochineal insect living on cacti in Mexico which produces carminic acid, a natural source for red dye. 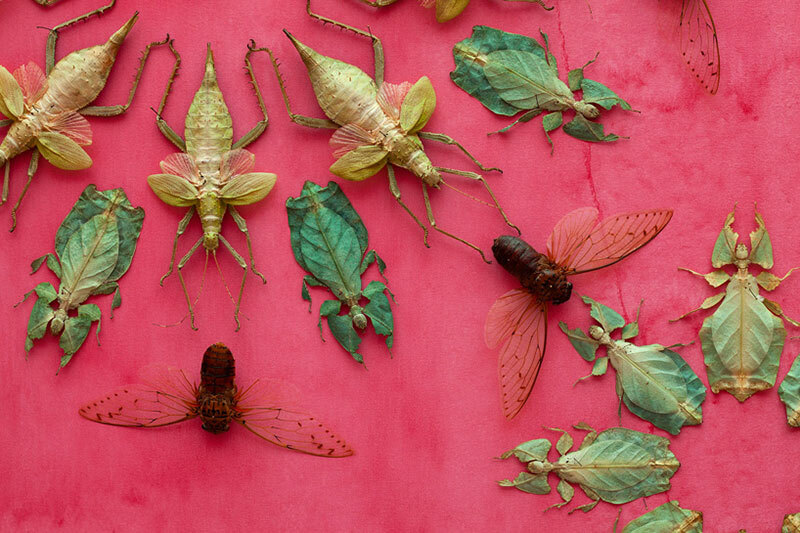 There is often confusion as to whether the insects in my work are real. Yes, they are although they are dead and dried. The colours are their natural colour. I have not painted them. I have spent considerable time in Southeast Asia, particularly Thailand and Malaysia where most of the insects I work with come from. While none of these species are endangered it is important to note that their habitat is under assault. Unsurprisingly forests play second fiddle to human demands for agriculture and urbanization. Intellectually we recognize that forests are the lungs of the planet but not enough is being done to protect this precious resource. Virtually every insect on the endangered species list is there because of loss of habitat. 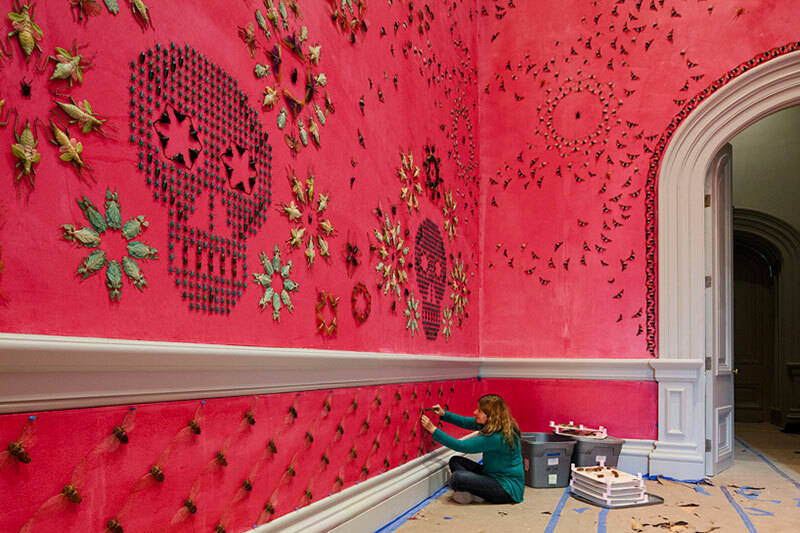 An installation at the Smithsonian’s recently reopened Renwick Gallery in Washington, D.C. by artist Jennifer Angus consisting of 5,000 bugs arranged in geometric and skull patterns.